ELEMENTS™ is all about getting children active and developing vital life skills through physical play. Responsive play and “tickling-in-the-stomach” play events are the greatest motivators of physical play. ELEMENTS™ is loaded with play activities to give children just that! 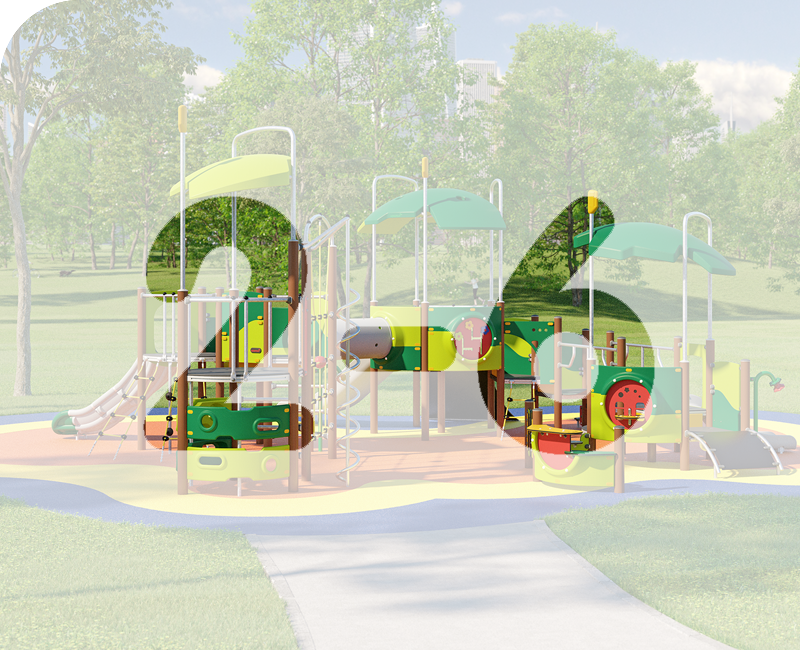 The new ELEMENTS™ series is divided into 3 age groups – each makes up a play universe loaded with age-appropriate play activities. TOTS (1-4), GROW (2-6) and GO (6-12). ELEMENTS™ TOTS & GROW contain responsive, agile and exploratory play solutions that shape a safe and active play universe. The activities gently nudge the children to expand their horizon, be active and grow new skills as they play. ELEMENTS™ offers play for all abilities. 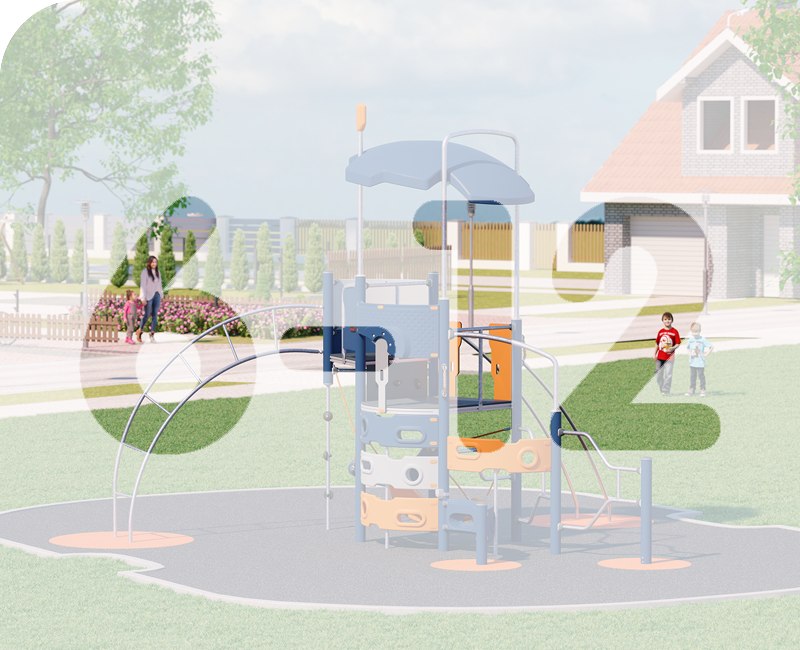 The many ground-level activities allow all users to access the play structure and play with a great variety of activities. Ramp solutions allow children in wheelchairs to access a play structure and play alongside friends. The extra width on the ramps makes room for a caregiver to accompany the child. ELEMENTS™ is an aesthetic contribution to its surroundings. The organic shapes, bright colours and open-ended design send a warm, yet unique invitation to play that draws children from miles away. ELEMENTS™ TOTS stimulates physical activity with our youngest. Responsive elements and "tickling-in-the-stomach" play events let toddlers explore the world around them, be active and grow new life skills. ELEMENTS™ GROW is an agile, responsive and dynamic play range. The GROW series has a lot of bouncing play options and offers fun-loving play features. ELEMENTS™ GO is the ultimate play and activity starter for school-aged children. Safe, challenging play features make children play and be physically active for hours and want to come back. ELEMENTS™ is designed on a truly flexible play system that allows a large degree of customization and flexibility. 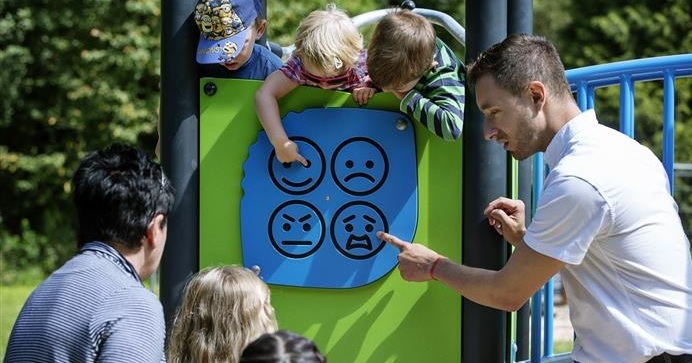 The intelligent ELEMENTS™ play system allows you to add, remove and change play activities, materials, construction options and colour themes to make it fit your environment and ideas. 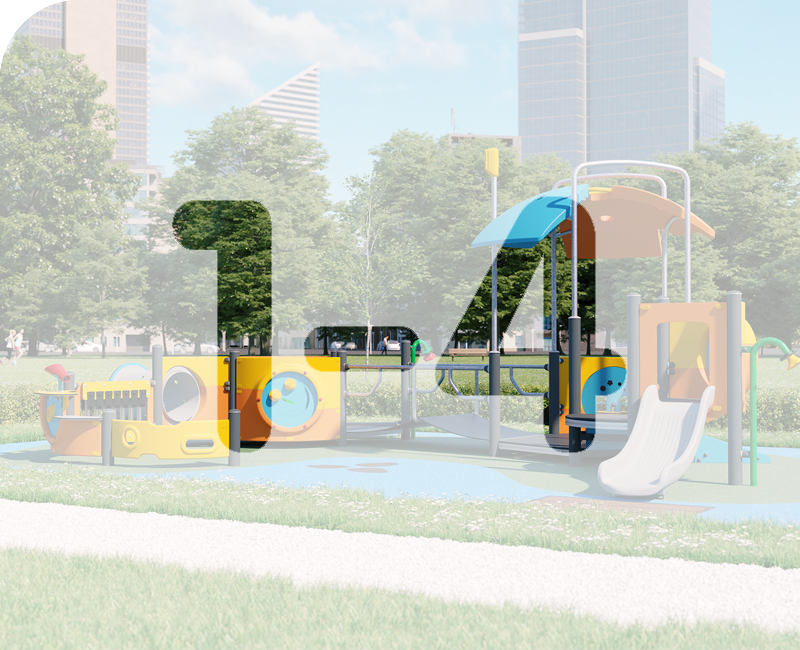 To customise a unit, go to the individual products and select 'customise' and this will open a configurator for you to create the perfect unit for your playground. The real experts on play are the children. Like we always do, the KOMPAN Play Institute has tested the new ELEMENTS™ play features with children. Take a look at the video to learn more about our playground equipment tests with children. The panels and roofs have got maximum UV-stabilization making them resistant to fading in the sun. The platform decks are made of 18mm thick high-pressure laminate supported by an aluminium frame making them very resistant to wear and tear. The ropes are steel reinforced and highly vandalism resistant and are impossible to wear through. ELEMENTS™ series offers a 10 year spare part guarantee.